Haven't tried the Debt Avalanche for yourself yet? This is the most advanced debt repayment plan in the world. Simply plug in the information about your debt and the system will tell you how much interest you will save, how much time you will save and will give you a plan to get the debt paid off. If you update your information once a month when your new statements come in, you will watch as your debt melts away faster and faster. If you’re like me, you like options. 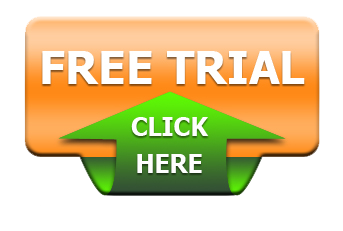 You can select the method that works best for you and compare them which is great! Want to know if it would be better to payoff lowest balances or highest interest rate first? Not a problem. Compare and see which will work best for you by just clicking a button. Some people still like paper. With your customized payoff schedule, you will be able to print it out and mark off the payments as you make them each month. For the very best results and fastest payoff, make sure you print off a fresh, updated copy each month before you pay your bills. Ever get a bit of extra money like a tax refund, bonus at work or birthday gift from Aunt Edna and want to see what it would look like if you put it toward your debt? With the additional payments option, you can and the system will even tell you how much interest you’ll save with your extra payment! With 16 different categories of resources, you’ll find something for any need you have. Some of the categories include credit, debt, negotiation, investing, communication, family and more… We’re not here to just help you get out of debt, but to help with every area of your finances. On the go? Download audio resources to help you grow your finances on the go. From short audios on how to talk to your kids about money to longer, in depth audios on how to talk to your spouse about money without fighting, you’ll find something for every need. Ever wish you had access to easy budget forms or the specific letters you need to send out to help repair your credit? Our downloadable resources include hundreds of options to fit most any need you can think of. From scripts on how to negotiate down your interest rates to disputing negative items off your credit reports, you’ll have access to everything at your fingertips. It’s amazing how on social media everyone seems to be happy, doing well and constantly on vacation. It’s not reality though. Everyone has struggles from time to time. You are not alone. You can join our private support group community of people who are going through exactly what you’re going through. Get the help and support you need along with extra tools and resources to help you speed your way into financial freedom! Accountability. It can be hard. One of the biggest problems many people have is that you don’t know what you don’t know. That’s why we have coaches to help you. Your personal Registered Money Coach will guide and direct you to next level financial success. Not only will they help you with debt, but they are prepared to help in all financial areas. Once you get finished paying off your debt, your coach will help you with strategizing plans for the future, learn how to invest appropriately (without having to deal with salespeople) and even how to leave a legacy for future generations. Your coach will be with you every step of the way. Want to see how you’re doing? By seeing how you’ve been doing, you’ll be able to also see how you can speed up the process of getting out of debt. We call it Debt Avalanche because it may seem to start a little slow, but when it comes down, it can come down quick! Your tracking reports will show you the difference between where you were and where you are today. There’s nothing like being able to see how well you’re doing! There are no contracts. 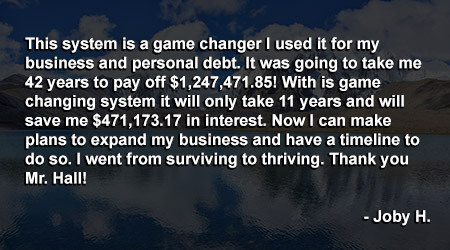 Though most people stick with Debt Avalanche long after they are out of debt, you can cancel your service at any time. How do I know Debt Avalanche will work for me? Try it out first! Click here to try Debt Avalanche and make sure it will work for you before you register for a plan. Couldn't I just use the money I would spend on this to pay down debt? Absolutely. In fact, most people are paying more than the minimum payments on their debt, but without their payments being maximized it still takes extra years to pay down debt and costs additional thousands of dollars in interest that would be saved with the program. Of course! 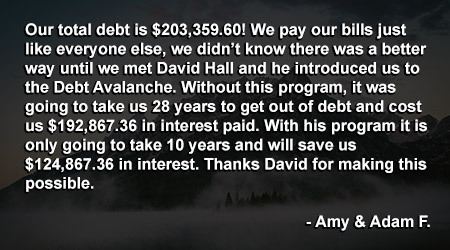 If you purchase a Debt Avalanche membership and the program can't save you MORE than it costs, just contact us and we'll gladly cancel your membership and refund your initial payment. What if I need some help using the program? In addition to Debt Avalanche being built to be very easy to use, we have a full tutorial and our support staff is here and ready to help. If you choose the Premium Plan, your coach will help guide you on all aspects of financial growth, in addition to helping you use the system. What if I get more debt? Life happens. One of the best parts of Debt Avalanche is that it’s not judgmental. Just plug in the new numbers and the system will rework your plan automatically to keep you on track and get that debt off your back. We do too. The difference comes in being able to get to the point where you use them and pay them off every month instead of keeping a balance. Debt Avalanche will keep you up to date and maximized on getting that handled.